Prins Pools is a swimming pool company, located in San Jose, that works on residential properties. We know what it takes to complete that dream backyard with your very own custom built pool and/or spa. When you call us, we don’t come out and sell you a pool. We listen to your ideas and discuss available options. Plus, determine what style and feel you are looking for. That’s why we always have one of our professionals walk you through every step of the process to ensure that this new and exciting adventure is as painless and exciting as possible for you and your family. Why Choose Our Residential Swimming Pool Company? 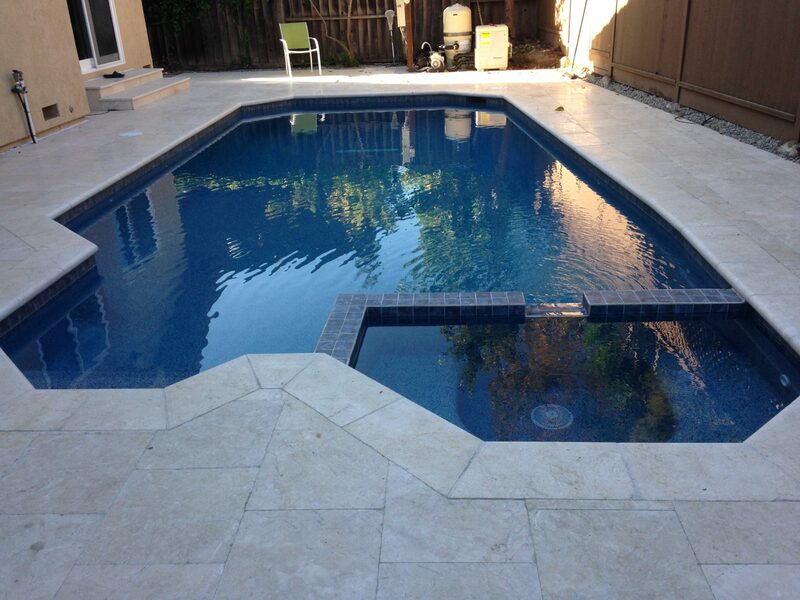 With over 14 years of superior craftsmanship and attention to detail, our swimming pool company has built a reputation of excellence, in this highly competitive industry, which has led us to be the premier leader in new pool installations and pool renovations in the San Jose Area. We are a family owned and operated company that prides itself on it’s 4 main principles: Trustworthiness, Dependability, Reliability, and Friendliness. We would love to welcome you to our residential swimming pool family and show you, that, when we start a job, we want nothing but the best for you and your family, while we work very hard to build the pool of your dreams, because, your poolside experience is our job. LED Lighting: We stay up to date with today’s technological advances and requirements. Also, we will set you up with the top of the line LED lighting to create that beautiful nighttime backyard wonderland you have been dreaming of. Fencing/ Security: We know how important safety and security can be to you, your family, and guests. Because of this, we make sure to provide the best fencing and safety products to ease your mind. Slides/ Diving Boards: A staple for any pool party, slides and diving boards provide so many countless hours of entertainment. Our selection and styles are second to none to compliment your backyard haven. Pavers/ Decking: Our pool pavers and decking are second to none. Let our professionals help you find that perfect style to accent your investment. Spas: With all the choices out there, our swimming pool pros can help you design and bring to life a spa that creates that perfect end of the day “relaxation station”..
We will be with you every step of the way. From start to finish. Let our professionals discuss with you all the important questions. Including the size, material, placement, landscaping, accessories, and permits. Plus, any other questions you may have. So, please give us a call and let us know what your swimming pool/spa needs are and let us amaze you. Call 408.979.9595 or fill out our contact form to get a free quote today on your residential swimming pool.